blog article on Jungian types. One of the most practical contributions of C.G. 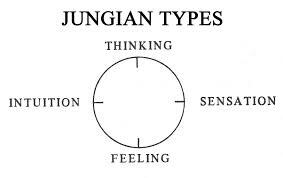 Jung’s psychology is his typological system. Jung introduced his theory of types in 1921 with his publication Psychological Types. Typology is a theory rooted in empirical observation, nonetheless, it is still merely a theory and should be approached accordingly. Jung himself was cautious about applying the theory too rigidly. “It is not the purpose of a psychological typology to classify human beings into categories—this in itself would be pretty pointless. Its purpose rather is to provide a critical psychology which will make a methodical investigation and presentation of the empirical material possible” (1921/1971, CW6, para. 986). Jung did not intend his typological system to pigeonhole people into discrete or caricatured types. Even though the MBTI® models 16 personality types, there are ostensibly an endless variety of types depending on how extensively one sorts and measures the phenomenology of consciousness. If nothing else, typology offers an approximate tool to engage the whole personality. 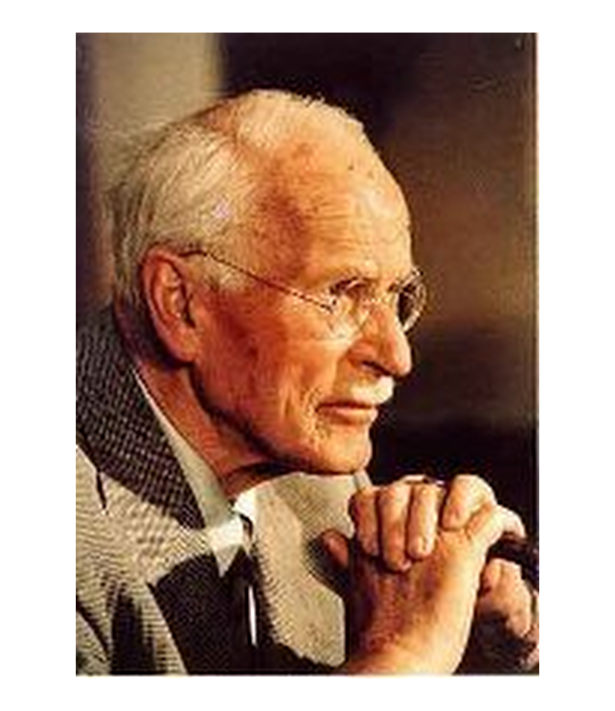 According to Jung, there are eight primary types from which one derives a wide range of types. We arrive at the number eight by combining the two attitudes (e.g., extraversion and introversion) with the four functions or cognitive modes (e.g., thinking, feeling, intuition, and sensation). Extraversion refers to a general tendency of libido (i.e., psychic energy) to move in a centrifugal (outward) direction. Extraverts tend to gravitate to the external world of objects, things, and people. Introversion, on the other hand, refers to a general tendency of libido to move in a centripetal (inward) direction. In this way, introverts are more inclined to show interest in the inner world of subjective ideas. Both thinking and feeling are rational activities since they evaluate or judge experience. For instance, a person sees a painting and expresses an interest in it. One could approach the picture through the criterion of thinking or feeling. Both are just as valid ways to experience the phenomenon. The thinker would view the picture in conceptual and factual terms—The picture is square. The picture has a wooden frame. The picture was painted by Rembrandt—whereas the feeling person would view it in terms of values—The picture is pretty. The picture is ugly. The picture makes me happy, etc. Sensation and intuition, on the other hand, are a priori to experience. In other words, they are immediately given. People can perceive without forming conscious judgments or opinions. One does not have to think about the fact that he has a body. It is simply accepted as a given. When one gets an intuitive hunch from the unconscious it just happens and it is difficult to place such an experience to any rational framework. Extraverted Sensation: This type is concretely grounded to the here and now. They are objective, matter-of-fact, and take reality for face value. For them, what you see is what you get. Introverted Sensation: This type deals primarily with subjective participation and is primarily focused on comparing past experiences with present ones. In this way, they usually view the present in terms of the past. This type can come across as self-absorbed. Extraverted Intuition: In its extraverted configuration, its expectations are directed toward the object in the possible future. Expectation and suggestion figure prominently in this type. The downside about extraverted intuition is that it is so busy trying to predict new possibilities that is oft-fails to make any real connection in the present. Extraverted intuitives seem to never tire of novelty. Introverted Intuition: Because this function deals with unconscious contents, it is difficult to describe and measure. This type focuses on inner possibilities that subjectively arise from the unconscious. Prophets and visionaries usually fall into this category. This type often has a hard time sorting through the countless hunches and ideas that surface in consciousness. Extraverted Thinking: This type tends to arrange ideas into a conceptual relationship, usually a linear one. For them, conceptual thinking is central. They primarily deal in objective facts of the external world. Modern scientific approaches are rooted in extraverted thinking and framed in sensation. Introverted Thinking: This type is primarily focused on internal ideas. Their primary criterion is a subjective one, thus, their thinking is less conceptually constrained than the extraverted thinking type. They have no problem thinking through an image. Since the numinous accent does not rest on the external collective, an internal idea can be just as true as an external fact (e.g., The sky is blue. ), regardless of consensus. Extraverted Feeling: Extraverted feeling is about objective values, that is to say, the values that are found in the collective sphere. This type aspires to harmonize with the external world. How one feels about an event is more important than logical criteria. Extraverted feeling types usually have a very well-developed persona. Introverted Feeling: The term “still waters run deep” tends to epitomize this type. Subjective feelings are primary and abide deeply by their individual values and they leave little room for compromise in this regard. 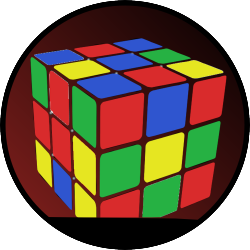 The main function (e.g., thinking) is directly supported by an auxiliary function which helps guide the personality’s course like the rudder of a ship. If the superior function is judging, the auxiliary function will be perceiving. This is generally implied within Jung’s type theory. Typology is not an exact science. Although psychometric instruments can be valuable (e.g., SL-TDI™, MTBI®), there is no substitute for self-knowledge. Most people can tell what type they are if they honestly assess themselves and understand the basic typological criteria. During the course of one’s individuation, it is accepted as a general rule that the person needs to develop his or her auxiliary and tertiary functions before reaching the inferior function, which is viewed as a gateway to the unconscious. Jung, C. G. (1940). Psychology and Religion. In H. Read, M. Fordham, G. Adler & W. McGuire (Eds. ), The collected works of C.G. Jung (R. F. C. Hull, Trans.) (2nd ed., Vol. 11). Princeton, NJ: Princeton University Press. Awesome post. Lots of helpful and understandable information regarding types. An excellent tool to understand one’s self and those around them. However, I’m curious as to your thoughts on typologies changing over time as people evolve and grow into their personalities and become more individuated. For instance, I’ve found that as I’ve revisited the MBTI, I’ve noticed changes in the past years (i.e. level of extroversion vs. introversion). Does Jung have any specific opinion regarding this? Do typologies change over time? That’s a great question. The short answer is it depends. Let me explain. Jung’s typology has two main components: attitude (e.g., extraversion and introversion) and functions (e.g., thinking, feeling, intuition, and sensation). Naturally, people are constantly adapting and adjusting to their environment and evolving as a whole. This is what we call life. However, experience shows that certain parts of one’s typology are more fixed than others. For instance, a person born an introvert will likely ride the introvert line throughout their life, but can develop the means to adapt to and interact in extraverted situations. However, their tendency will likely remain introverted and the same thing applies to extraverts. The typological functions tell a different story. Just like if a right-hander consciously chose to write with their left hand, he or she would likely get better at it over time. It takes three things then: time, practice, and conscious willingness. The same thing applies to the functions. If a person is a dominant thinking type and his feeling is inferior, then he or she will likely persist this way throughout their life. It’s only through conscious differentiation or practice in the inferior or alternate function that a person can get better at it, and become more whole. So what I have tried to articulate is that the attitudes, though not fixed, are far more permanent typological modes than the functions, which through practice and application can change over time. This in fact is one of the central aims of what Jung called individuation, another topic for a later date. I hope this helps.